Plowright’s Brahms canters into the final furlong still leading the field. Brahms’s first published piano sonata has always seemed to me as top-heavy with its thunderous first movement overshadowing those to follow, but I now realise that was a result of performance convention; this fresh rendition restores its equilibrium. 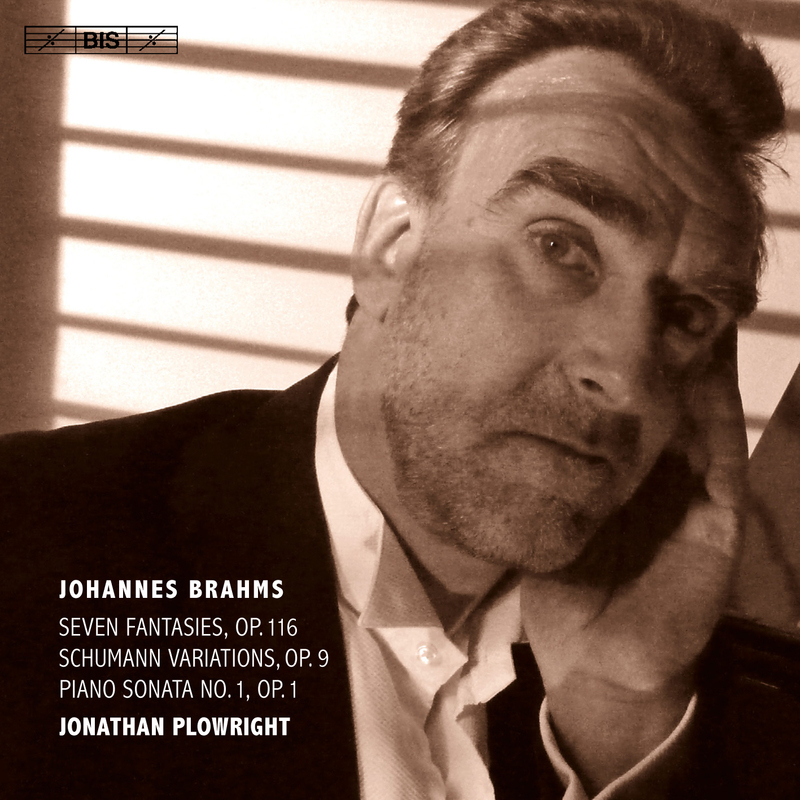 Jonathan Plowright ignores its reputation as a carbon copy of the Hammerklavier – he replaces raging turgidity with noble rhetoric and brings such a degree of Schubertian elegance that one detects traces of the Wanderer Fantasy in its DNA. He keeps the texture clean with minimal pedal, careful voicing of chords and rhythmic pointing. His tight grip over long paragraphs allows the momentum to build steadily to a satisfying pay off in the coda (most players shoot their bolt too soon and it becomes a strident mess). The Schubertian touch continues through the rest of the movements with the Scherzo a delight of insouciant poise. The Variations on a Theme by Schumann – a woefully neglected early masterpiece – is a touching response to Schumann’s declining mental state. Based on the fourth of Schumann’s Bunte Blätter they are more like a series of contemplations on a theme than the conventional variations of the Handel and Paganini sets. Plowright’s perfectly judged tempo relationships and lightness of touch keeps everything in ideal balance and will have you wondering why the work is so rarely programmed. All these qualities and more are present for the Fantasies Op. 116 but with an expanded expressive range as suits Brahms’ later style. Helped by a superbly prepared instrument, Plowright’s flawless legato is breathtaking and can generate that special sense of calm innigkeit without a trace of sentimentality. The previous volumes of this series have passed me by, but their laudatory reviews raised my expectations for this release and they have been exceeded. I had best seek out those previous volumes pronto! The consensus seems to be that this is the cycle to treasure. The British virtuoso’s secrets to making scales fun, learning and memorising a new piece, maintaining concentration and more.